So, this little guy (Isul Lir, Nostalgia version) has been living in a drawer for the last few months. I originally bought him simply because I wanted his outfit (the red sailor suit) for my precious Oliver. 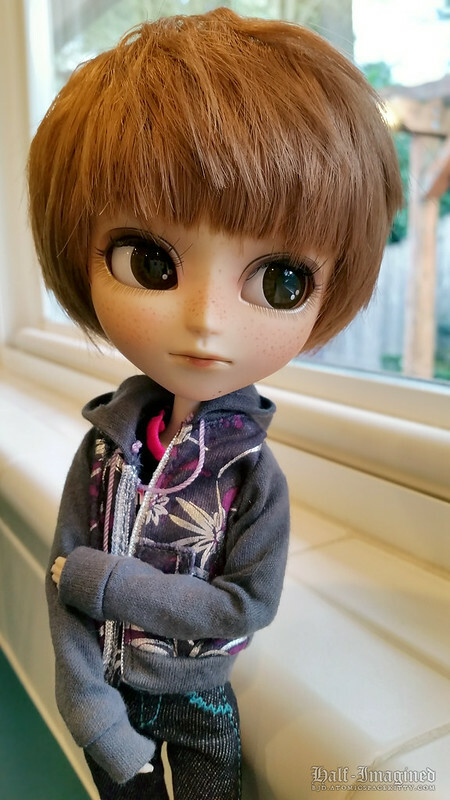 I had no plans on doing anything with Lir, but I saw some cute pictures on flickr of other Isuls, as well as Pullips, with freckles. I decided to try giving Lir freckles since I didn't care if I messed him up in the process. I used Poison Girl's freckled beauties as inspiration. My freckles didn't turn out as good, of course, but I'm pretty pleased with how he looks now. In fact, I like him so much now that I need to come up with a name for him. "Andy" is the first name that comes to mind. Any other ideas? I thought you might like the name "Andy". Thanks, Mom! Andy sounds like a great name for him. 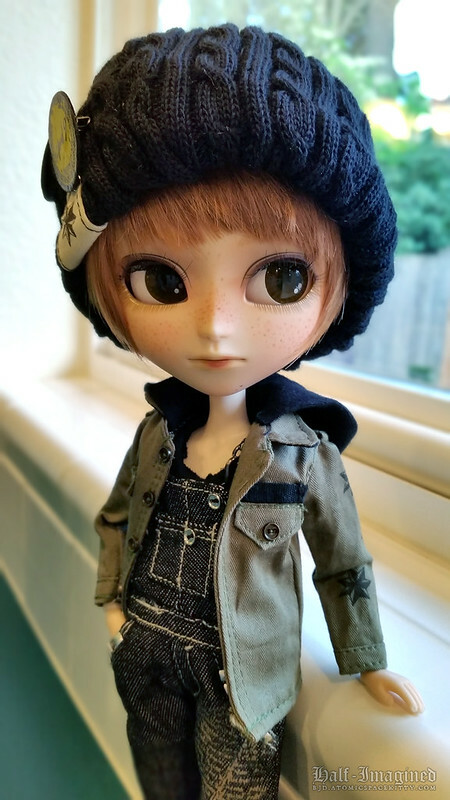 I love those freckles, then again, I have a weakness for freckles on dolls! He is quite adorable. Aw, thank you! It's amazing how much the freckles warmed up his face-up and warmed me up to him as well. I'm glad I ended up keeping him.